During the offseason, it can be difficult to keep up with all the news and training updates happening across the teams. 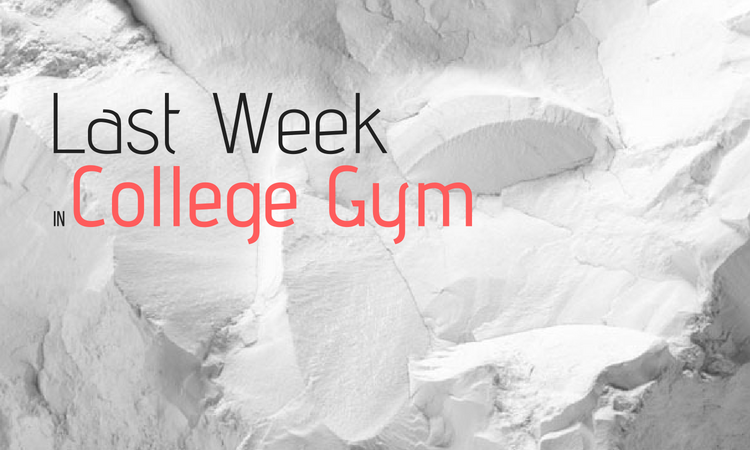 So each week, we will provide a curation of the most exciting upgrades, as well as other important news happening in the college gym world. Note the majority of the training updates highlighted will feature new skills and not someone training their same routine from the past season, for example. Finally, note we are only able to share links to updates posted on Twitter, Instagram and Facebook and not Instagram Stories or Snapchat. 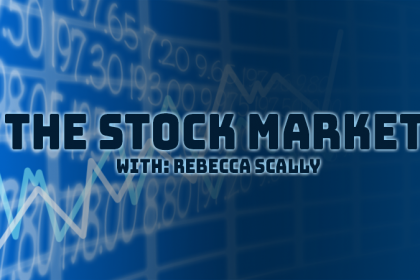 However, we will try to note any clips of note that we see on those disappearing platforms. New SEMO head coach Ashley Lawson has added two freshmen to the roster, rounding out what was going to be a one-woman class. Makenzie Marciniak and Maya Tran will join the Redhawks for 2019. Ohio State senior Jamie Stone has been a three-eventer throughout her career, competing vault, beam and floor. She is working a giant full + double tuck bar dismount. 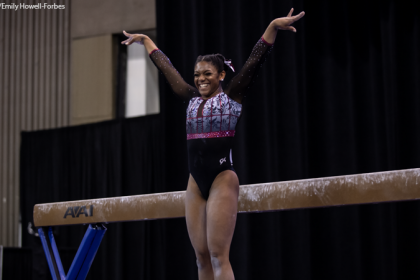 Perhaps the vault national qualifier is working to break the all around in her final season. Kent State freshman Maddie Trott has reworked her first half bar composition for college, now connecting her Jaeger to bail. A staple in the UW-Stout floor lineup, sophomore Maddie Mullenbach looks like she’s hoping to add a front double full to her routine this year. UCLA freshman Sekai Wright is working on a Rudi to layout stepout pass for her floor routine. Georgia junior Jordyn Pedersen has officially retired from gymnastics but will still likely serve on the Gymdogs’ staff in some capacity this season. Sophomore Madison McPherson has also retired. She did not compete during her freshman campaign due to a shoulder injury that required surgery. The Buckeyes announced the gymnasts who will captain their men’s team for the 2019 season. Seniors Alec Yoder and Joey Bonanno were named team captains along with redshirt sophomore Michael Chan. Oklahoma announced the addition of former Sooner Josh Yee to the coaching staff for the 2019 season. A 2017 graduate, Yee was a part of three NCAA team championships during his time as a student athlete in Norman. 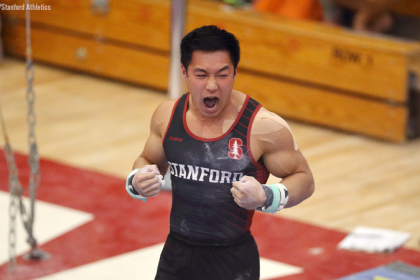 Yee will replace Taqiy Abdullah-Simmons, who will be taking a break from the world of gymnastics after he coaches the U.S. team at the 2018 Senior Pan American Championships. Utah State posted a training montage to Instagram. Of note, junior Elle Golison is training a tsuk full, senior Madison Ward works a back handspring + layout stepout + layout stepout on beam, and freshman Glory Yoakum trains a Li Ya (straddled jaeger with a half turn to catch in mixed grip). Yoakum competed it for the first time in her J.O. career in 2018 and this looks promising that we’ll see her compete the unique skill collegiately. 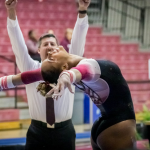 Ball State sophomore Vicky Garcia only competed bars and beam during her freshman season, but she posted a strong roundoff whip half rudi combination pass to her Instagram Story. With the departure of half of the 2018 floor lineup, the Cardinals will be glad to have new options there. Bowling Green international freshman Anna-Maria Kanyai, who was working a Shang last week, is now working on a Khorkina (true Shaposhnikova half). Look out for her on bars this year! UCLA freshman Norah Flatley is working on a triple twist onto a mat in the pit, but we are certainly hopeful to see it on the competition floor this year! UCLA redshirt sophomore Anna Glenn is trying out new combination passes on beam, and her latest upgrade is a front aerial to front aerial series. Arizona State senior Lentz was sidelined late last season with a foot or ankle injury, but was spotted tumbling onto a soft surface on Instagram. In a series of training clips, Arizona State senior Kaitlyn Szafranski was shown training a Ray to overshoot, while freshman Jasmine Gutierrez showed off her Rulfova. Georgia sophomore Emily Schild is working a front aerial + back handspring + layout stepout on beam. The Gymdog is adding the front aerial to the connection, having competed a back handspring + layout stepout in 2018. Georgia freshman Abbey Ward showed a strong 10.0 Tsuk entry vault on UGA’s Insta story earlier this week, making her a promising addition to the Gymdog vault squad. Before her injury last preseason, LSU senior McKenna Kelley had been heavily training beam, much to the excitement and hype of coach D-D Breaux. Her Insta story this week showed that she’s back training beam again, so maybe we’ll finally see her crack that lineup! With classes back in full swing, so are the Thunderbird gymnasts. The team posted a few training updates on its Instagram Story, including a floaty piked jaeger from Madison McBride (not to be mistaken with her twin teammate, Megan). Georgia junior Rachel Dickson was seen working a Omelianchik on vault into the foam pit on Georgia’s Snapchat. She competed a Yurchenko full in the past but has also worked a Yurchenko one and a half.